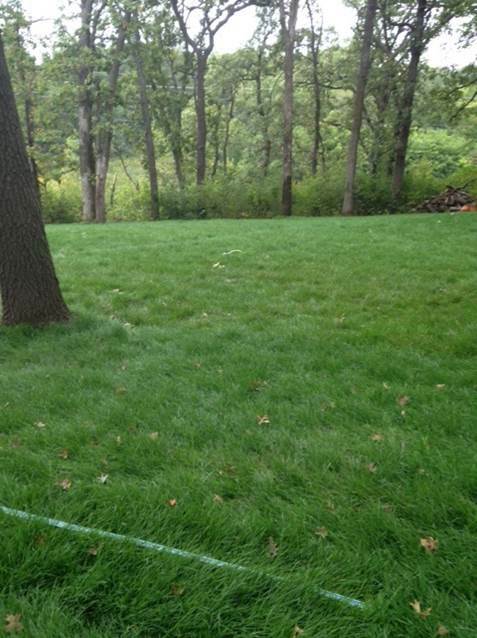 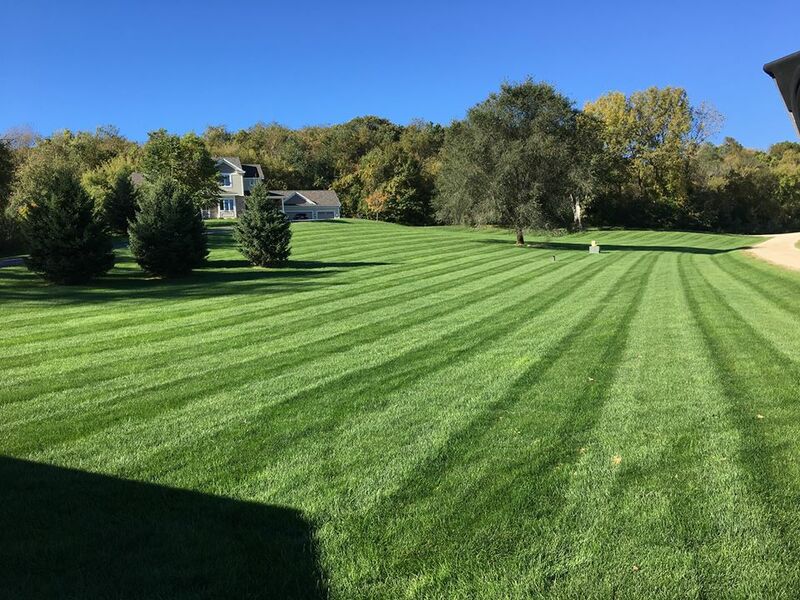 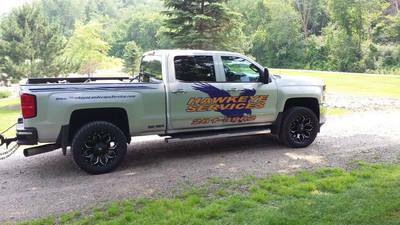 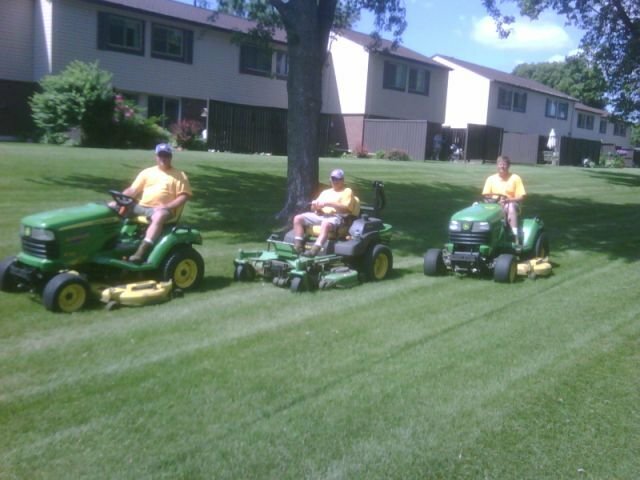 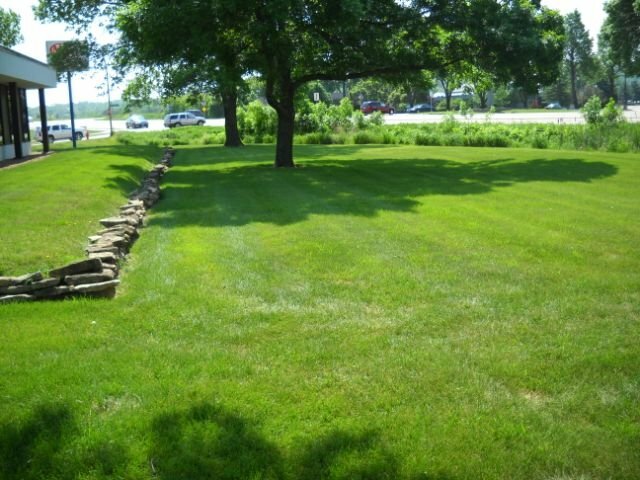 Need someone that can offer full service professional lawn care in the Rochester, MN area? 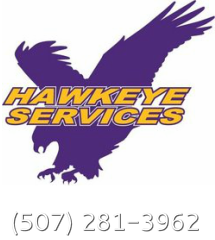 Let our knowledgeable staff provide quality service. 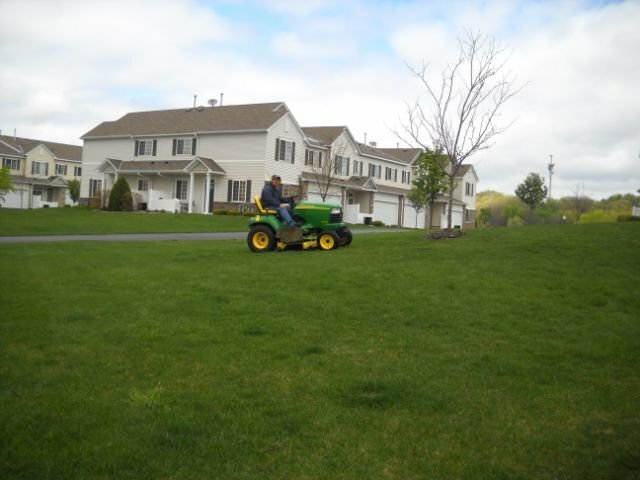 We provide mowing, trimming, and blowing grass off driveways and sidewalks. 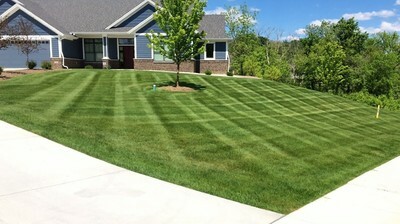 Keep your lawn maintained with our licensed fertilization and weed control program. 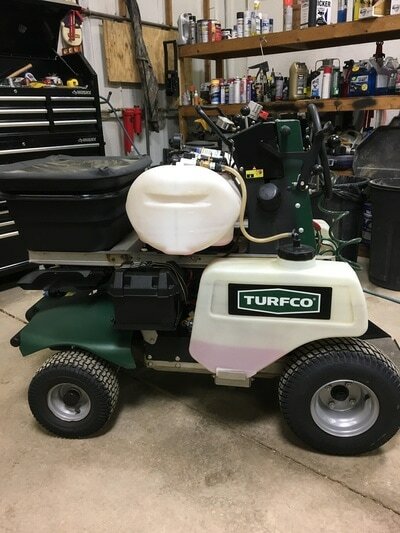 Our new 5 step program entails 3 dry fertilizer applications and 2 weed spray application. 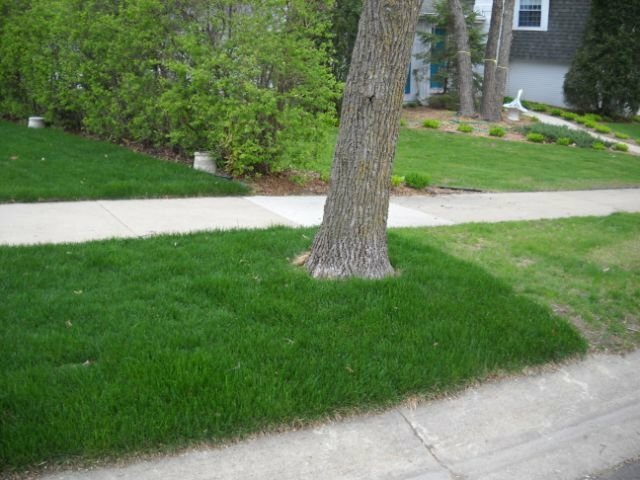 Extra weed spray application can be requested. 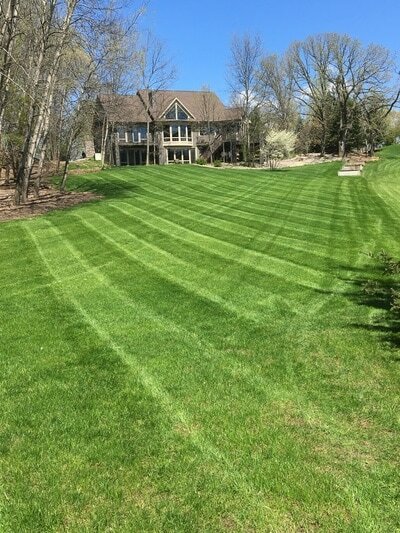 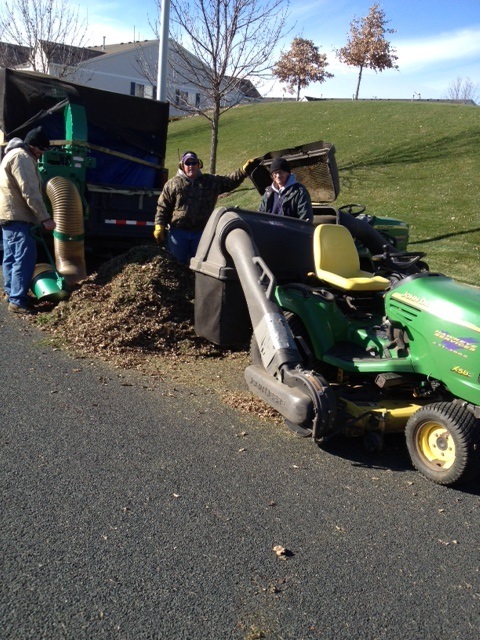 Extensive spring/fall cleanups (dethatching - spring, leaf pickup, bagging, cutting down perennials, and litter pickup) leave our customers lawn beautiful. 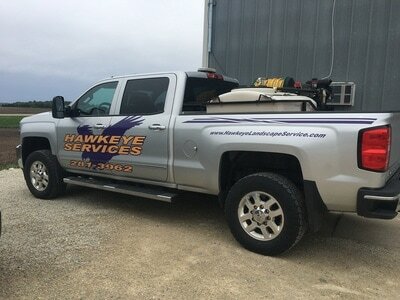 Other specialized services are provided such as weed control in planter beds, fall aeration, bush trimming, over seeding and turf repair. 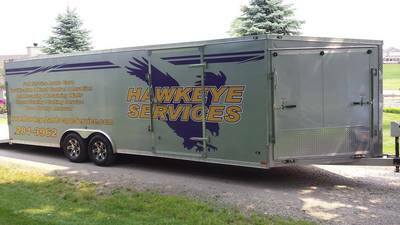 Our trailer to bring the lawn care to you! Fall clean up of large town-home association with powerful vacuum system. Terraced lawn at customer's business.